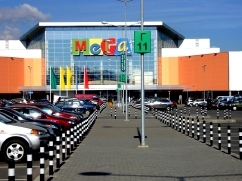 There are two MEGA family shopping & leisure centers in St Petersburg: MEGA Dybenko and MEGA Parnas (МЕГА Дубенко and МЕГА Парнас). Each MEGA complex combines more than 250 stores, selling clothes, shoes, sports products, perfumes and cosmetics, and products for children. 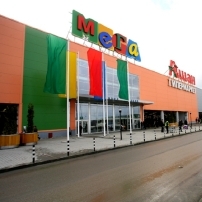 MEGA’s anchor tenants are the most trusted Russian and multinational stores including IKEA, Auchan, OBI, Leroy Merlin, Stockmann, Bahetle, M.video and Technosila. 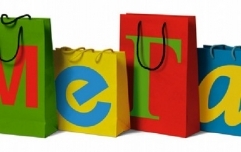 It features international brands like Zara, Starbucks, C&A, The Body Shop, Marks & Spencer, TOPSHOP/TOPMAN, Accessorize or Promod. In MEGA Dybenko the first mall for electronic and household appliances – Media Market – was opened. MEGA is a fun day out for the whole family. While mom goes shopping, there’s plenty of things designed to keep her kids entertained. MEGA along with Stockmann and GALERIA is the largest shopping center in St Petersburg. The only inconvenience is that both MEGAs are a little removed from the city center (unlike Galeria or Stockmann which are smack in the heart of St Petersburg) this can be easily turned into an advantage by those living nearby. Especially as MEGA free shuttle buses are provided for those who use public transport. Business hours for МEGA Parnas and MEGA Dybenko: 10 am—10pm. Other: Free MEGA Dybenko shuttle buses depart from the Dybenko Street (yellow line) and Lomonosovskaya (green line) Metro stations every 15 minutes. Bus stops are situated at the main entrance and next to the IKEA store. Free MEGA Parnas shuttle buses depart from Metro stations Prospect Prosvescheniya (blue line) every 20 minutes and Grazhdanskiy Prospect (red line) every 10 minutes.